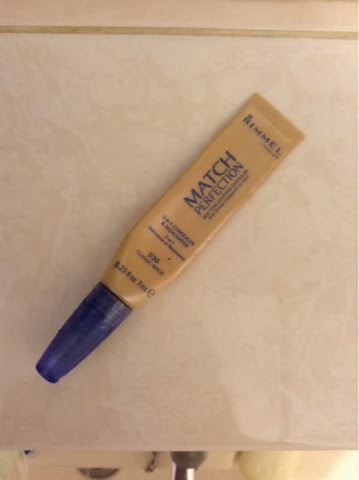 Rimmel Match Perfection Concealer Review! Hey guys, just a little FYI I will be moving some posts from my old blog onto here so excuse the spam! Anyways, straight into the review! Packaging wise I think it’s really nice, simple so it doesn’t particularly stand out on the rails but you can’t really dislike it to be honest – beige with a pale blue writing and lid. Simples! This was actually the first ever concealer I used and I have to say, I love it just as much as I do now! I have it in shade 003 Classic Beige and even though it’s a tad too dark in Winter, it blends so easily you can’t notice. It’s a lovely creamy texture and so light you barely notice it on. A light – medium coverage but you can build it a bit to hide black curdles as I do. My favourite place to wear this is actually on my cheeks as it hides redness well. It’s £5.99 from Boots which I think is pretty reasonable considering its last me around 3 months! As on the packaging it is a concealer AND highlighter and I’d say I do agree with the a bit I guess. Which is why it’s great under the eye as it brightens the area. Next Wimbledon The Championships 2014!